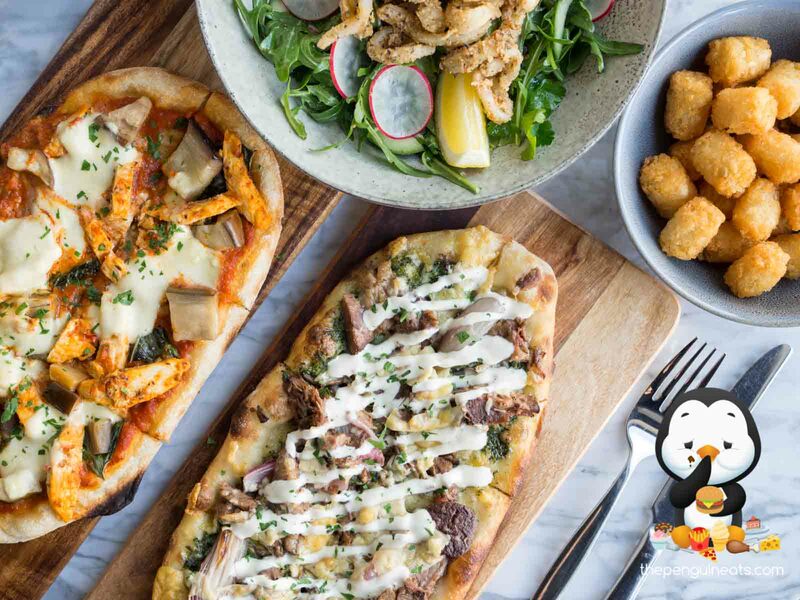 The woodfired flatbreads were what we came here for, and did they not disappoint one bit! The flatbread itself was impeccable, the thin and light base was crisp without being at all soggy. The outer edges were beautifully puffy and beautifully charred. 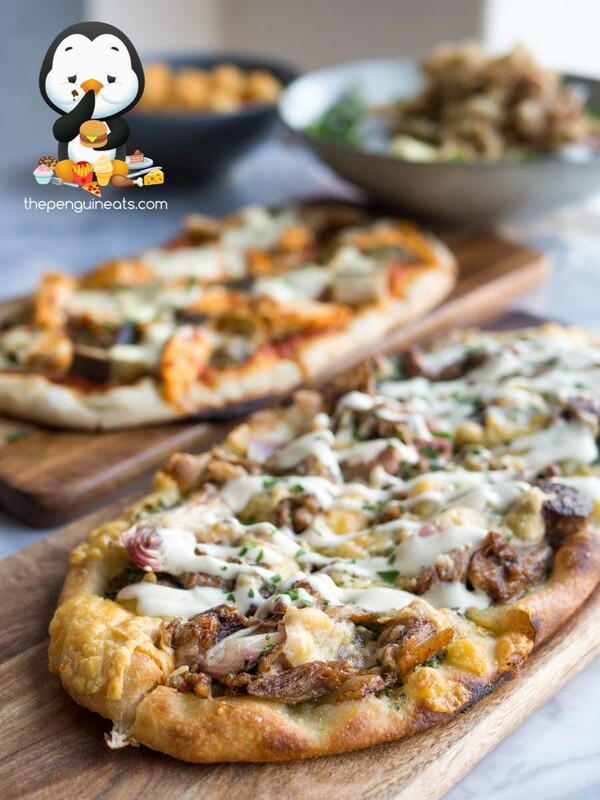 In terms of the toppings, our Braised Lamb Shoulder Flatbread was just divine. Loaded with a generous helping of succulent and tender pulled lamb shoulder that was incredibly tasty and well spiced. Alongside sat plenty of caramelised onions offering a delightful sweetness, as well as a herby basil pesto that was as bold as it was fragrant. 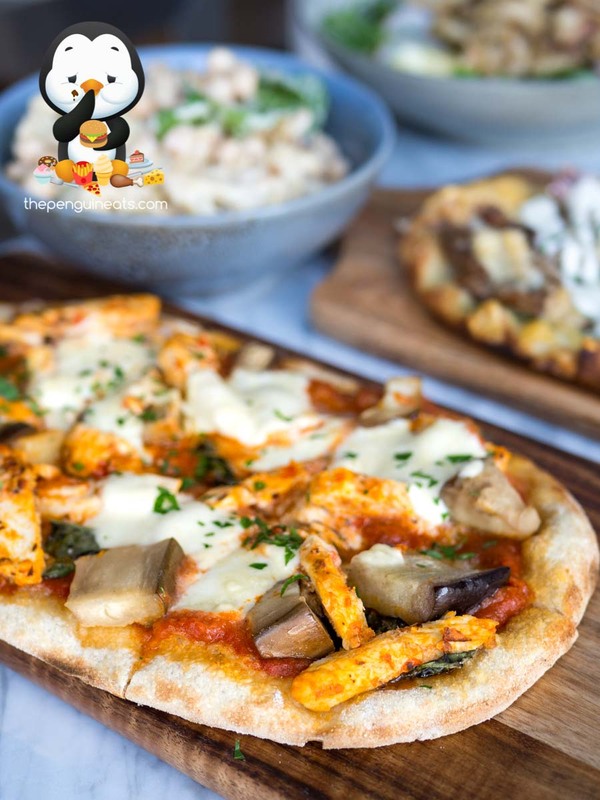 Combined with a creamy yoghurt honey dressing, this flavoursome lamb pizza was certainly the highlight of our meal. We also enjoyed the Pulled Chicken Flatbread. Marinated with a Harissa spice, the vibrant colour of the chicken was aptly tender, well seasoned and provided a hint of spicy goodness. We found the chunky roasted eggplant soft and gooey, it’s flavour well accompanied by a rich tomato base and plenty of melted cheese. A lighter yet equally delicious choice. We accompanied our flatbreads with a couple of salads. 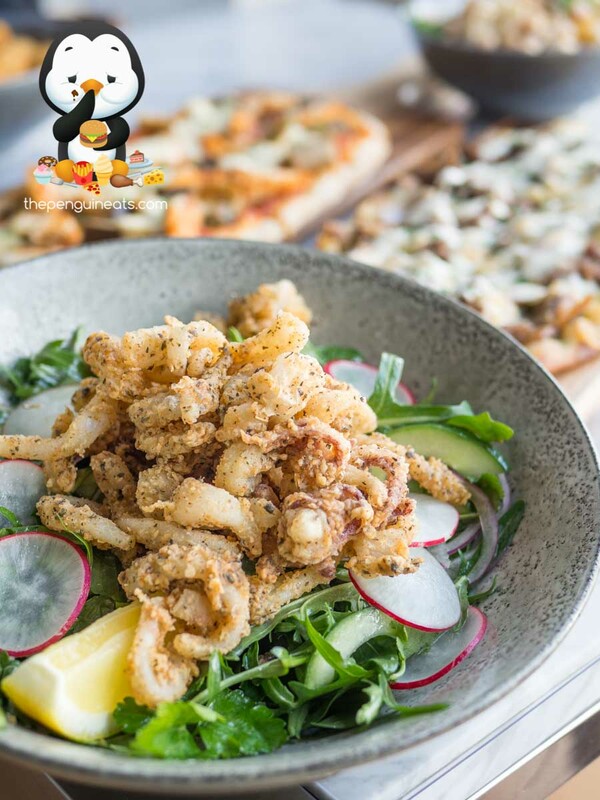 The Calamari Salad had a generous helping of crisp, tender squid, lightly battered and perfectly fried. Underneath, the rocket leaves were fresh, as were the slices of cucumbers, all lightly dressed with a tangy vinaigrette. Quite refreshing. The Roasted Cauliflower Salad was a much heartier option. The cauliflower chunks were nicely charred, though somewhat lost in between the mountain of chickpeas. Our only gripe with the dish would be the dressing itself, which was rather rich and a tad too creamy. 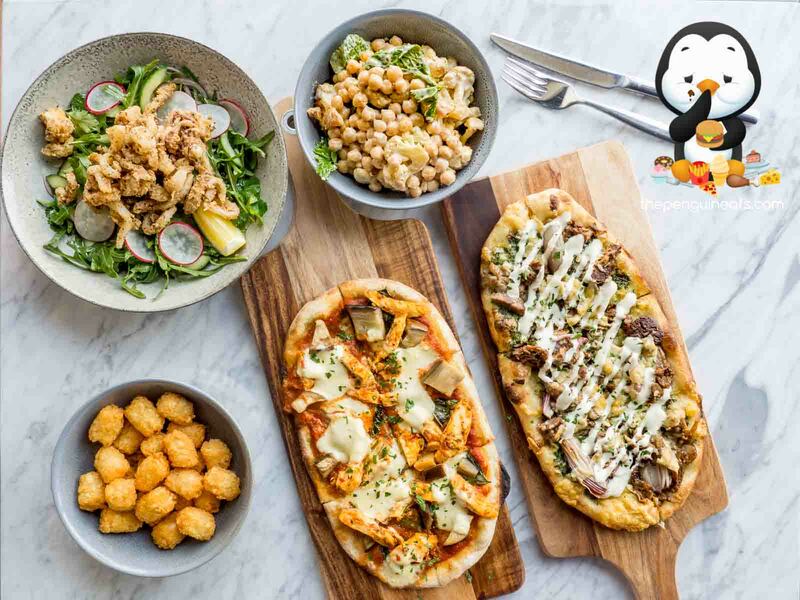 As newly launched eatery in the sleepy suburb of Glen Iris, Woodfired Kitchen offers up a very tasty yet incredibly affordable feed that’s bound to impress. 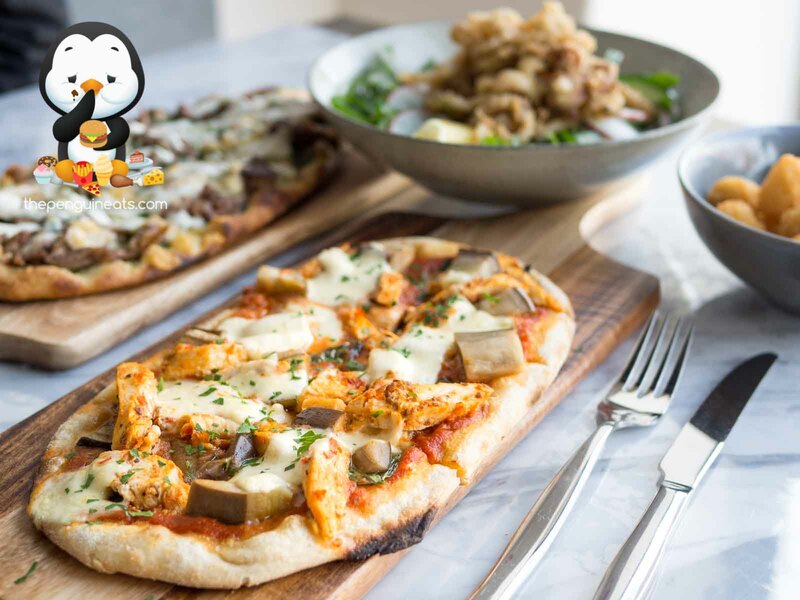 Their woodfired flatbreads are one of a kind, cleverly combining Middle-Eastern influences with Italian flavours and creating something truly special. Most definitely! Amazing value, simple and tasty, what more do you want?! Penguinetas would like to thank Woodfired Kitchen for inviting us.